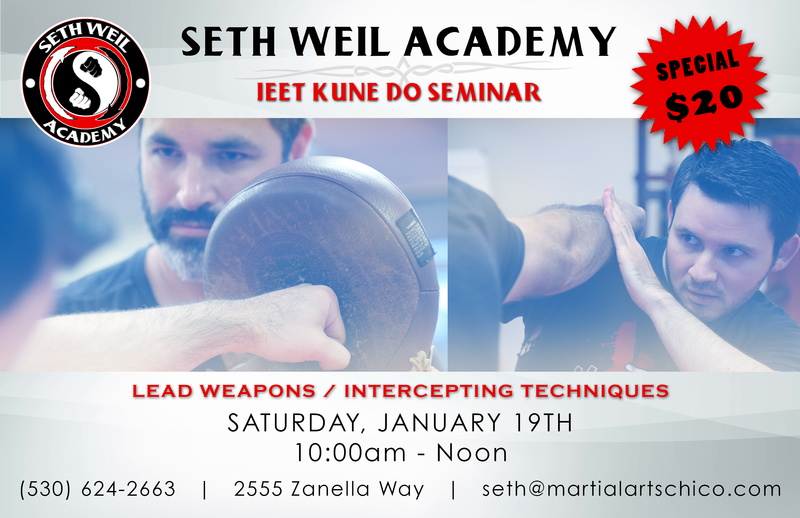 Saturday, January 19th, Seth Weil Academy is offering a Jeet Kune Do seminar on lead weapons and intercepting techniques. Learn functional and effective techniques in a comfortable setting. All materials will be provided and admission is only $20. Call us at (530) 624-2663 for more details. 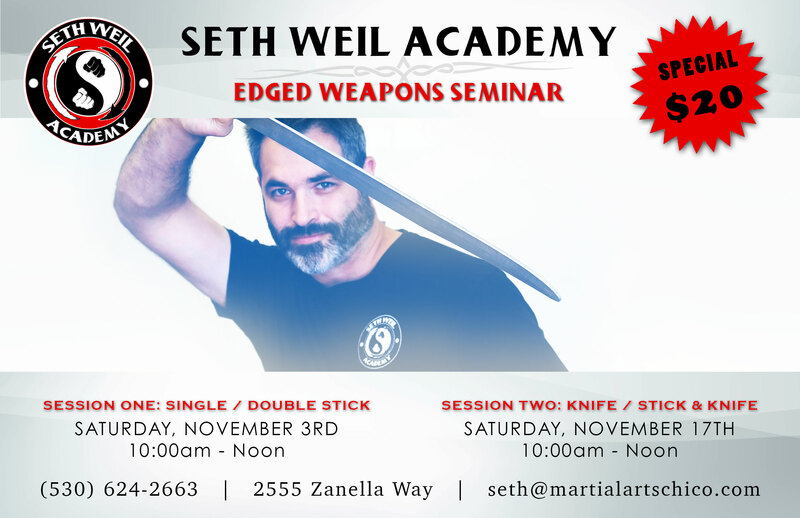 This October Seth Weil Academy is offering two Edged Weapons Seminars. These seminars will focus on the Sinawali and Sumbrada patterns. Learn functional and effective techniques. We offer Swedish massage from certified professionals intended for relaxation and health maintenance. 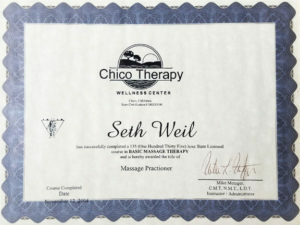 Also available is Deep Tissue Massage to affect the tissues deep within the body and restore circulation. If you would like to book a appointment, please Contact Us. We just updated our price list. Check out the classes and offers available below. 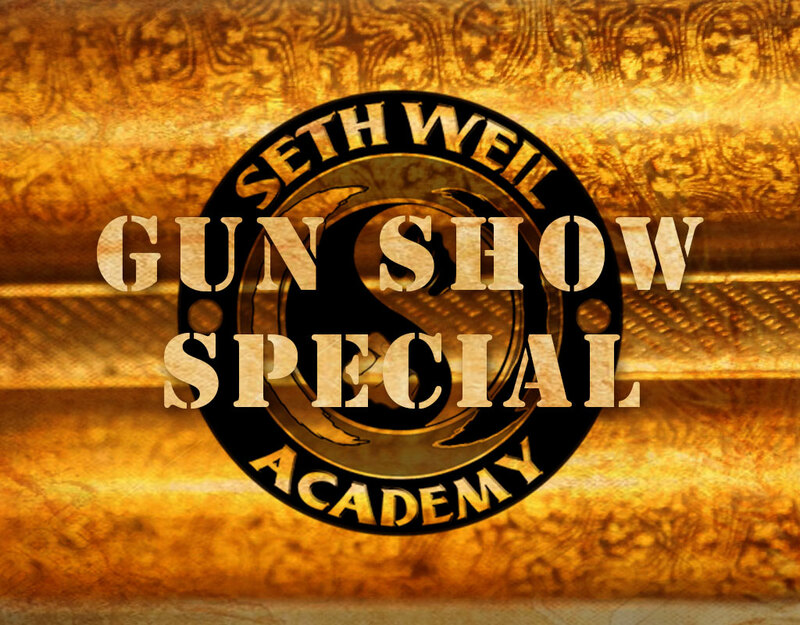 Seth Weil Academy has a special offer for patrons of the Gun Show. 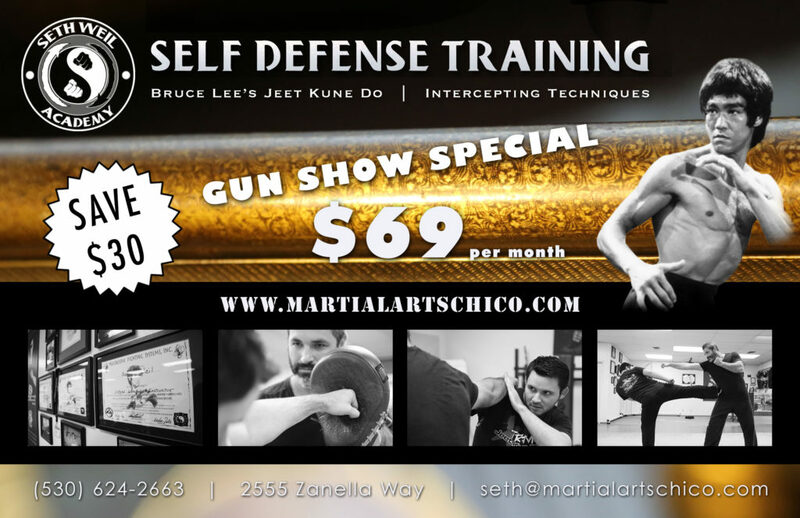 Get $30 off self defense classes and improve your physical fitness at the same time. 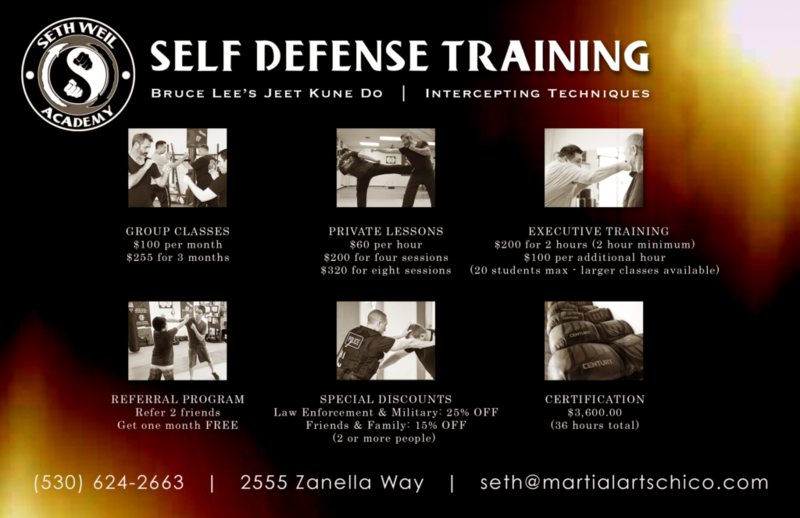 Learn Bruce Lee’s Jeet Kune Do and the art of intercepting. You can check out the different classes that are offered HERE. Welcome to Seth Weil Academy. This is our new site. We hope you like it. Feel free to browse our new options.